A while ago I posted “A Diamond is Merely a Lump of Coal That Did Well Under Pressure” At the time I was reflecting on the power of this imagery, how it encapsulates so many ideas about strength, inner beauty, hard work and so on. The literary and visual image of a diamond as a thing of beauty and desirability has been tarnished by their use to fund corrupt governments and military activities in parts of Africa. However, the Kimberly Process sought to keep these Blood diamonds, or conflict diamonds from being traded. The governments of participating countries are required to certify where the diamonds have come from and to guarantee that the diamonds being traded are conflict free. The diamond industry and various NGOs such as Global Witness, as well as other member states, are official observers who can check that the certification process is genuine. It has been successful in helping some countries reduce the flow of conflict diamonds and to increase official stocks but Zimbabwe is a notable exception. So it seems incredible that the Kimberley Process has authorised exports by two companies operating in Zimbabwe’s Marange diamond fields. Members of the military are known to have tortured and killed workers in the mines, and used the money from the diamonds to fund illegal government activity. Global Witness has suggested that members of Zimbabwe’s ruling party may use revenue from the area to fund the intimidation of voters ahead of elections. As a result of the decision to authorise the Mirange diamonds Global Witness has withdrawn from the Kimberly Process, an organisation it helped set up. Previously, The EU and the US had blocked any move to lift the ban, but late last year said that Zimbabwe has made considerable gains in addressing areas of non-compliance. It’s hard to see how, especially as the military is still involved in running the mines. Lifting the ban undermines any credibility that the Kimberly Process may have had, and raises the question why, the US and EU have suddenly changed their positions. 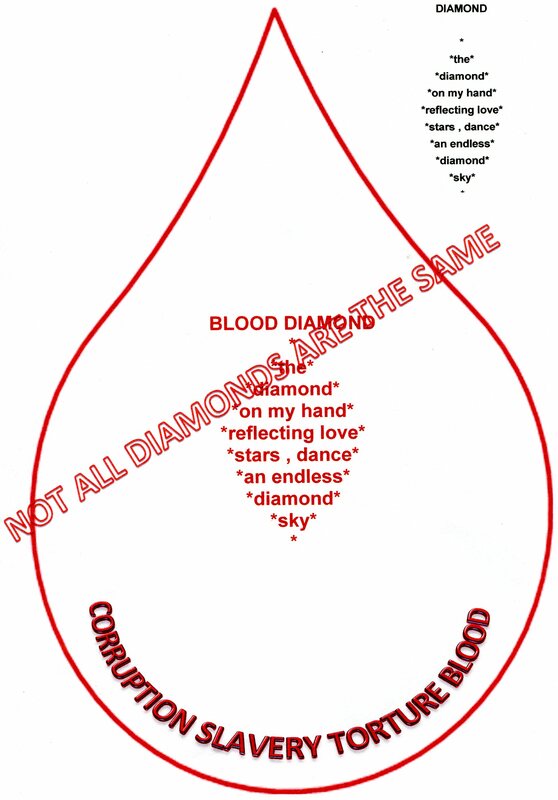 Consumers can no longer be reasonably sure that a diamond certified by the Kimberly Process is not a blood diamond. The only thing a responsible person can do is insist on seeing the provenance of the stone being purchased. Some retailers, such as Michael Hill, already do this.